← It’s Twerk Time! Now now now! I almost started writing this post too soon. I tried not to get my hopes up too much about my Amazon Preorder Chart Twerk, wherein I brazenly begged everyone who would listen to me to preorder my book, 7 months before it’s even released, so that I could make a big splash on the Amazon sales chart. I had no idea what kind of difference a stunt like this could make, but it felt good going into it ranked #403,253. The only way to go was up! So many people, from close friends to readers of this blog whom I’ve never even met, shared my link and tried to get others to sign on. At noon sharp, I started tweeting, Facebooking, emailing and basically squeezing every bit of juice out of all the social networks I’ve built up over the last few years to hype the presale. Then I sat back to watch my book coast up the charts. I couldn’t wait to write this blog post, the one where I told everyone how much all their help paid off. I only wondered what numbers I would be able to boast about. Hey, I made it to #1,486 in the rankings! Hooray, I cracked the top 900! Oh my God, I’m outselling Catcher in the Rye**! At 12:01, I hit REFRESH. No change. At 12:01 and 5 seconds, I hit REFRESH again. And again. And again. Hmm… maybe these charts didn’t update as frequently as I thought. Finally, at 12:49, I saw a new rank… 409,937. I asked everyone I know to buy my book, and it was actually going down in the rankings? This can’t be right. REFRESH REFRESH REFRESH! Now I was panicked. My chart twerk had been going on for 2 full hours, and the book was still plummeting like a Saw sequel the week after Halloween. What if Amazon didn’t rank preorders the same way as books that have been released? What if this didn’t work the way I’d led people to believe it would? What if I’d cashed in all the good will I’d amassed my whole life FOR NOTHING? By 5:00 I’d pretty much given up hope. I was composing an email to Drew asking him what I should do. Apologize to everyone and tell them to cancel their preorders? Change my name and leave the country? Just as I was staring at the numbers, my phone rang, and I knew right away it was the one person who was probably hitting REFRESH as much as I was. “I was just sending you an email,” I said, as I immediately deleted everything I’d just typed to him. Just like that, my book shot up 420,083 places, to #366. As in 0 million, 0 hundred thousand, three hundred sixty-six. Even better, it was #15 in Parenting… and #1 in Gay & Lesbian Memoirs and Biographies! I didn’t stop refreshing. At 6:43, the book was up even more… #260! Still #1 in LGBT memoirs and now #9 in Parenting. I was ahead of Healthy Sleep Habits, Happy Child! I giddily looked up some other books. Eat Pray Love? #3,070. Pfft! Harry Potter and the Goblet of Fire? #1,068. Ha ha! Sure it was just for one brief moment in time on one retailer, but I was outselling J.K. Rowling! The book popped up in Hot New Releases for Gay & Lesbian Biographies. It ranked #2 on Amazon’s Movers & Shakers chart (based on a sales surge of 98,150%). Best of all, if you searched for my book, it popped up with a sticker that said “#1 Best-Seller” because of its placement in its category chart. An overwhelming rush of love and gratitude. 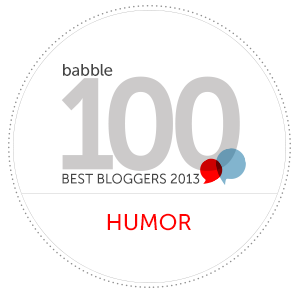 I have the best friends, family, followers and blog readers in the world. I am silly with affection for you guys right now. The rank may have been inflated, but there’s no way I could overstate how loved I feel at this moment. I was moved to tears when I saw what you did for my book, and it’s ultimately not about selling a book as much as it is feeling like I’ve done something right with my life. I’ve surrounded myself with amazing people. There are too many people to thank individually here, but two bloggers really went above and beyond in helping me promote this, so the least I can do is point you toward their awesome blogs. John Kinnear and Miceala Shocklee, you guys rock. With seven months until the book comes out, I’m not sure what comes next. I’ll probably talk to my publisher about how we can garner some more attention out of this, and I’m sure they’ll have plenty of marketing schemes to implement as my book comes closer to being released. But even if my book never reaches these kinds of numbers again, this already seems like a win. My book is about how I became a dad, so it recounts some of the happiest moments of my life. Today, you gave me another one, which goes in a new chapter all its own. … a figurative chapter. Don’t worry, I’m not setting you up to buy another book already. ** That never happened. But I slaughtered Franny & Zooey. Congrats Jerry! Well deserved. Can’t wait to read it! What a great story — congratulations! *too. Ugh spotted it right as I pressed publish and was all no no no no no. YES!!! Truly awesome! I hope you got screen shots so you can print them out and hang them on the fridge and framed on the wall. When it gets closer to release, you could get some copies sent to bloggers who could then write you awesome reviews and spread the word. Congratulations Jerry, can’t wait to read it! This is fantastic news. Congratulations, Jerry. Your voice is so strong so it is no surprise at all to me that everyone wants to hear it. ;D To the moon! Thanks, Emily. I really appreciate the kind words. Can’t wait till the book comes out to see what everyone thinks! Fantastic news!!!! I didn’t get a chance to pre-order mine, so I will do my part now by trying to keep you there 🙂 Congrats! Thanks — and it worked! I thought I’d fall back into the 400,000s in the rankings the next day, but it stayed up in the top 1000 for a while and is still around #27,000. Hooray! That’s awesome!!! I’m so happy for you! It’s nice that someone who I have enjoyed reading on the internet is successfully breaking into the published world!